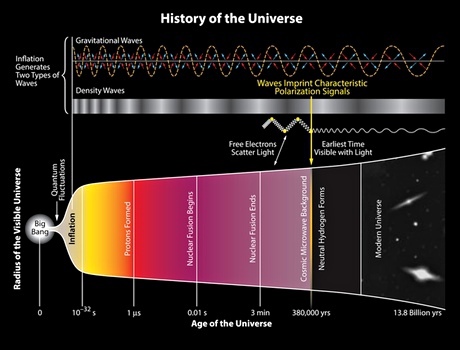 Ripples in space-time – Life moves pretty fast. The sighting came from a small telescope on the roof of a laboratory sat on the ice sheet three quarters of a mile from the geographic South Pole. First came the rumours. 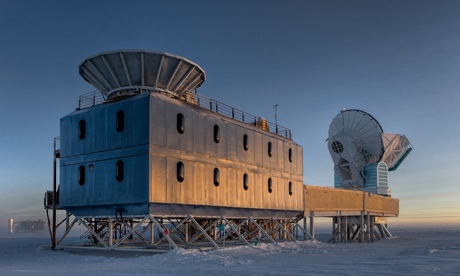 But then researchers at the Harvard-Smithsonian Centre for Astrophysics went public. Their telescope had spotted indirect evidence of gravitational waves, or ripples in space-time, from the earliest moments of the universe. The scientists have not yet published their work, and no other team has confirmed the finding. Yet even without these mainstays of scientific rigour, excitement has swept through the community and into the world beyond. If confirmed, the observation will rank among the greatest scientific discoveries of the past 20 years. A Nobel prize is all but guaranteed.